CWC Group has been serving its valuable customers for over 26 years since 1992. 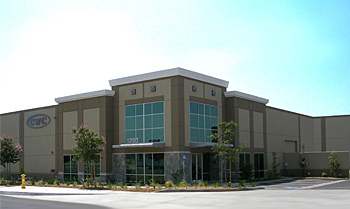 With its full line of quality computer accessories, electronic components, services and low prices, the company's reputation is well received as one of the fastest growing companies in the US. In addition to its own factory, CWC has overseas partnerships with manufactories in China, Taiwan, Thailand, Korea and Japan. It can offer very competitive prices to best serve its customers. CWC's computers are on-line directed to DHL, FedEx, USPS and the credit bureau for faster and more accurate services. Most of the orders can be shipped out the same day. 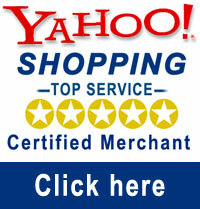 CWC offers products to VARs, dealers and distributors throughout the US. Custom-built cables such as fiber optics, fiber channels, networking cables, etc. are done in-house with quick turnaround time. CWC welcomes all contract manufacturing, OEM and ODM inquiries. All orders received by 3:00 pm (PST) are usually shipped on the same business day. Prices are final at the time of order; and we do not offer any price protection or adjustments once the order is processed and/or shipped out. Your online purchase from CWC constitutes that you have read and acknowledged to our company terms, policies, and conditions. After placing your order, you will receive an email confirmation summarizing your order. A further email will follow to notify you of the order status or shipping status with a tracking number. If you need to make any changes to your order, you must call in to notify our shipping department. Do not notify us via email, as we may not receive your request in time. If you are reseller, you must email or fax over a copy of your California Reseller�s Certificate to: sales@cwc-group.com, before your order is processed. We do not charge sales tax outside the state of California. Sorry, we do not ship to any P.O. box addresses nor do we offer any cross shipment. All FPO/APO addresses can only be shipped by US Priority Mail, so please select 3-Day Service for all FPO/APO address. Please allow for a slightly longer delivery time. FedEx only provides Next Day or 2nd Day Service for Hawaii and Alaska, so please choose the right shipment method when placing orders for these two states. Please allow for a slightly longer delivery time. As we process the orders with great care and concern accordingly to the customers' requirements and specifications; in return, we would like the customer to treat the order seriously. There is no exception to these charges. For all first time customers and orders, your billing address will be verified with the credit card company. If the billing address is incorrect or if the shipping address is different from the billing address, your order will be placed on HOLD. We will then contact you either by phone or E-mail. The accuracy of the billing address is the responsibility of the cardholder. We only ship to a billing address that is verifiable. In order to ship to a different address, other than the billing, it must be registered with your credit card company. You can contact your credit card company to have your shipping address updated as an authorized shipping or alternative address in their records; and please notify us when the shipping address is successfully updated. This policy is a security measure done strictly to protect consumers, as well as merchants, against Internet and credit card frauds. We realize that this policy may be slightly inconvenient, however it is in place for your credit protection. We hope you understand our concerns, and thank you for your cooperation! CWC reserves the right to cancel any order that is unable to be verified or processed. Please make all money order or cashier's check payable to CWC, and send it to the below address. Upon receipt of the money order or cashier's check, the order will be processed and shipped out. Sorry, we do not accept any COD payments. Please keep in mind that our web site is not equipped to quote total charges for international orders at this time. Therefore, please send an email to sales@cwc-group.com, if you are interested in receiving accurate shipping charges for your location. Be sure to include the exact items that you are interested in, along with your shipping address. Government & institutional orders are welcome. Please email us at sales@cwc-group.com for details or fax purchase orders to 909 773 0708. We guarantee that we only sell brand NEW items, either in the OEM or Retail Version. We offer a 15 days exchange or repair warranty for all possible defective items purchased from CWC, except any Software, Retail Box Processors, Blank Media Cartridges, and Hard drive purchases which can be returned to the manufacturer directly. After the 15 days from date of purchase, CWC reserves the right to honor product warranty by repair, replacement, refund, or referral to the Manufacturer. Other individual warranty may be different as advertised or as seen on product description/invoice; but after that, manufacturer�s warranty will apply. The removal of any serial numbers voids the warranty. any incompatibility or lack of compatibility issues. damage or malfunction resulting from accident, over-clocking, misuse, power surge, fire, water or other acts of nature, product modification, or failure to follow instructions supplied with the product. alleged condition is a result of neglect, unauthorized or improper alternations, repairs, improper care, accidents, disaster, weather or transportation. CWC provides our customers with a 15-day satisfaction replacement guarantee on all purchases. We agree to replace, repair, or refund your product at our discretion. In the event that the same product is no longer in stock, we will replace the product with a similar item. Due to the manufacturers' policies, resellers/distributors cannot accept returns/refunds on any Software, Retail Box Processors, Blank Media Cartridges, PC Systems, or Hard Drive products which can be returned to the manufacturers directly. In order to take advantage of this satisfaction replacement guarantee, customer agrees to comply with the RMA terms set below. There are NO refunds for any RMA returned items except expressly written by CWC. RMA returned items will be replaced, repaired, or refunded pending our discretion. Any exception to this policy will be done by special request or expressly written by CWC only. Please note that all shipping & handling fees are non-refundable. As we do not sell refurbished items, all return items must be in it's original package or condition. Otherwise, there is absolutely no exchange or refund. Credit value for returned items will not exceed current selling or market price of the same item. There are NO refunds with respect to special orders or custom products produced to original purchaser�s specifications except as expressly stated in writing by CWC. Due to unpredictable market situations, we do not offer any price protection or adjustment on any item(s) or product(s) while the order is in process nor once the order is processed and/or shipped. Please include your order number (this is MANDATORY) and email to our RMA department at rma@cwc-group.com to first obtain a RMA number for all possible defective item being returned. Otherwise, no return will be accepted. All return shipping costs for defective or non-defective items are solely the responsibility of the customer. All unauthorized returned products will be refused and shipped back at the expense of the sender. For products that offer Manufacturer's warranty, please send directly to the respected manufacturer for speedy replacement. All RMA numbers are valid for 10 days after the date of issuance. We must receive the merchandise within 10 days to consider the RMA valid. RMA is not valid for any short-circuited item or items returned showing physical damage, including a burnt processor. Customer holds full responsibility for any mal-practice or misuse of the products. Merchandise will be considered out of warranty if physical damage is found on returned items; or if warranty labels have been removed; or merchandise is disfigured in any way, shape or form. Product(s) returned without defects will be subjected to a fee of 30% plus all incurred shipping charges. Please include your order number (this is MANDATORY) and a detailed description of the problem(s) and contact us by email for any technical questions to help@cwc-group.com. Please make sure you provide us your correct e-mail address, and we will reply you as soon as possible.